A week after facing Tom Brady, the Colts get set to play against the most accurate passer in NFL history in Drew Brees. As the Indianapolis Colts look to bounce back from last week’s loss to the New England Patriots, the team faces another challenge in a New Orleans Saints offense led by quarterback Drew Brees. 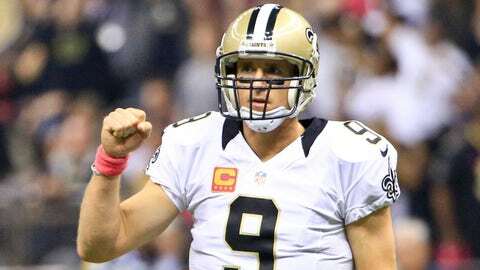 The 36-year-old future Hall of Famer is the NFL’s all-time leader in completion percentage at 66.3 percent. He’s also fourth in career passing yards and fifth all-time in touchdowns. Brees enters the game after completing 30-of-39 passes for 312 yards and a touchdown in the Saints’ win over the previously undefeated Atlanta Falcons last week. “It’s going to be a tough task,” cornerback Darius Butler said. “Everybody has to be on their Ps and Qs. We gotta get after him up front and do our job on the back end."